Having added this to BITE, I wonder if it has now closed: certainly it looked shut when I went past on a bus on a recent Saturday evening. 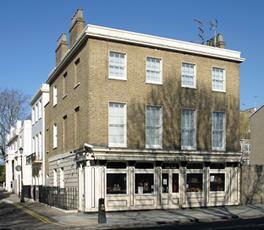 Surprised to find this relatively central London pub was unlisted. I haven't been in here for a few years, so I shan't rate it, but it always used to be a tolerable if unexciting mainly local's boozer with a few fairly-standard real ales.